While the rest of the Sunshine State was being instructed to get out or hunker down, its police officers geared up to get to work. Photos from police departments and sheriff’s offices all over Florida working hard to ensure the safety of its citizens. 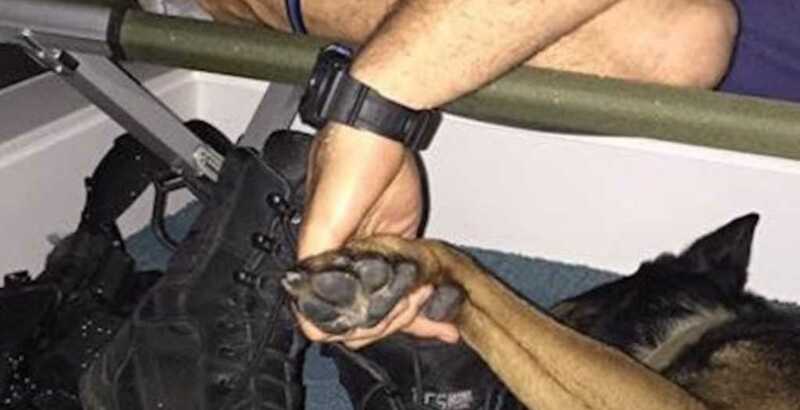 The Fort Lauderdale posted a photo of a police officer and his K9 taking a rest after they had worked non-stop to help with evacuations. The Jacksonville Sheriff’s Office posted a photo of a police cruiser with its trunk full of bedding and supplies, saying its sheriff’s deputies may not “have any idea” when they’ll be coming home. Officers in Sarasota rescued a stranded woman and transported her to a shelter, the police department said. The Gainesville Police Department posted a photo showing hundreds of officers ready to battle the storm.